Random Shorts | Barbie Who? 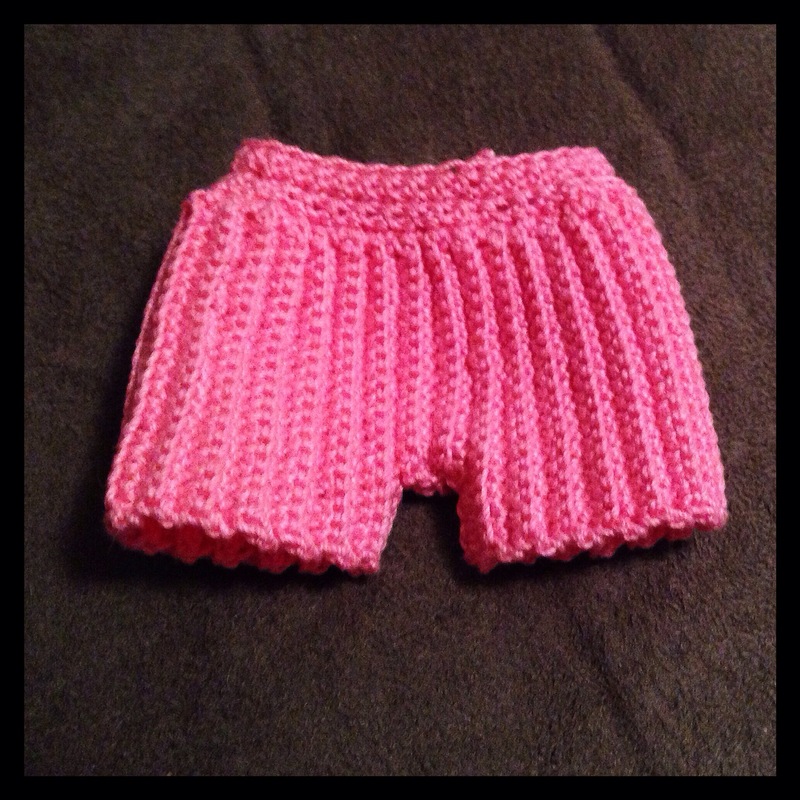 In all the excitement of the yarn I found earlier this week, I decided to make a pair of shorts for my dolls! 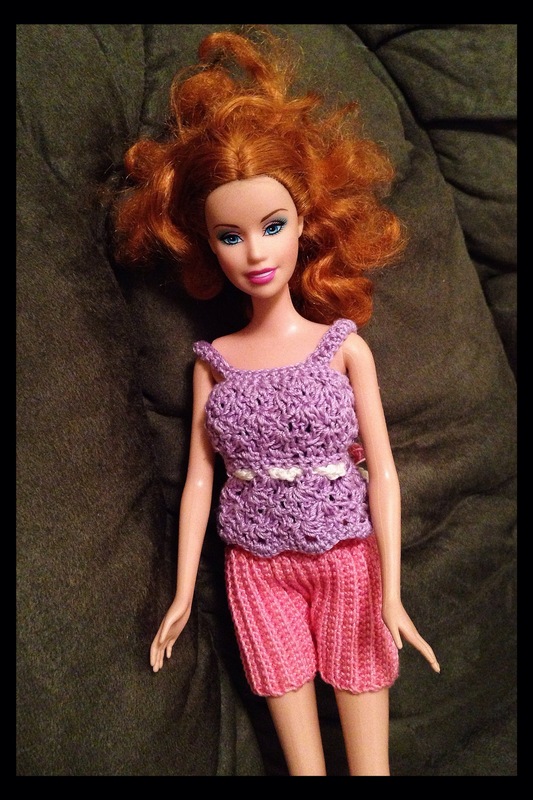 I used this pattern from Crochet for Barbie to create this. I basically used her pattern using only pink yarn and a slight alteration to the top. The final round of decreases on the top made it too small for my dolls, so I omitted the last round or decreases. I also added an extra row or two to make the top longer and omitted the decorative buttons. Still, it is a nice pattern and I am happy with how it turned out. I finished mine with a clasp and it fits great! The stripes are pretty and gives the pants a lot of stretch. I think I will techniques from this pattern to make pants for the Ken doll I found. I think that would make for a very cute pair of pants for him (his nakedness bothers me – same with all the other naked dolls, actually). Beyond that….. Well, I am almost done with the jacket. I am working on it right now, actually. I am having trouble making the collar look the way it does in Doctor Who. Hopefully I can work that out and do the finishing on the entire outfit before October ends. I am cutting it close, but I am cautiously optimistic that it can be done. These shorts (and the top I see farther down) are so cute! I also love the black dress on another post. My goodness! You’re very talented! Thank you! I enjoy making them, even when it is tedious. It is a fun way to pass my evenings.